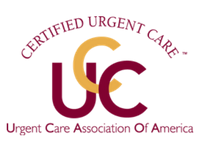 STAT MED Urgent Care provides top-notch immediate care services to families in Concord, Livermore, Lafayette, and other communities throughout San Francisco’s East Bay. Led by experienced physicians with backgrounds in emergency medicine, our network of urgent care clinics treats a variety of everyday health concerns, including strep throat. If you or your child is experiencing a sore throat, painful swallowing, nausea, fever, or other symptoms of strep throat, visit us for prompt treatment. We are open every day and do not require appointments, so we’ll be here for you when you need us. The first step toward finding relief from your symptoms is determining their cause. STAT MED Urgent Care is equipped with a clinical lab to provide fast and convenient diagnostics. If we suspect you or your child may have strep throat, we’ll perform a rapid antigen test or throat culture to confirm the presence of streptococcus bacteria. Both of these tests are simple and painless, involving only a quick swab toward the back of the throat. If you or your child is diagnosed with strep throat, we’ll provide you with age-appropriate antibiotics to resolve the infection and help reduce uncomfortable symptoms. Our team may also suggest helpful self-care measures to accelerate the healing process, such as drinking plenty of fluids, using a humidifier, and gargling with warm salt water. 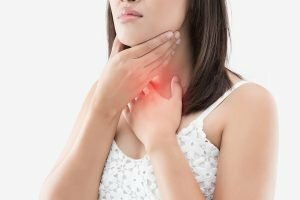 Contact STAT MED Urgent Care today to learn more about strep throat treatment or just stop by the next time you’re feeling under the weather. Our team is proud to serve residents of Concord, Walnut Creek, Lafayette, Pleasant Hill, Moraga, Orinda, Livermore, and other communities throughout Northern California.